You are here: » Home » Mystical Tour » 4 Scariest Destinations in the World! 4 Scariest Destinations in the World! Often, the story of a spooky place can be a powerful magnet for tourists. For those of you who like to test your nerve, get ready goosebumps while visiting 4 scariest destinations in the world. Do you dare? There are various reasons behind the activities of traveling. Want to see the outdoors, history enrich, deepen cultural, also reveals the secrets of a place. The latter case it is also often carried by travelers. When I heard the story of the mystical, chilling may be up, but curiosity was definitely upset, right? Compiled by TravelOc, here are the 4 most creepy destinations in the world. Do you dare to go in there? Locals call it Wat Mae Nak Prakanong. Although the actual temple in Bangkok this looks more like a home. 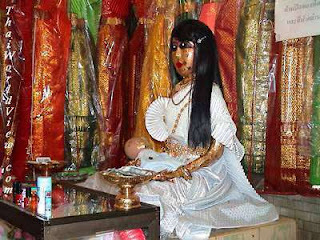 The visitors usually go to the Temple of Mae Nak to ask for blessings. The pilgrims carry a bouquet of flowers, cosmetics, toys, diapers, and bottles of milk as offerings to Mae Nak and her child. There is a creepy story behind this tradition. A hundred years ago, a beautiful woman named Nak Pranakong live along the river, the City of Bangkok. She then married a man named Maak. When pregnant with her first son, Maak who was conscripted to fight for the sake of defending the country. Maak not come home when the girl gave birth. Tragically, the girl died in childbirth effort. So did her first child who died a few moments later. But her love was greater in Maak, ghost girl refused to leave the house until her husband returned home. Maak went back home without knowing that she was a ghost. A married couple were then living together as if everything is normal! Until one day, revealing the fact that Mae Nak is dead. Mae means 'mother' in Thai. Having realized that he had been living with the ghost of his wife, Maak then go to a temple to call a local shaman. Mae Nak then wrath, and began to terrorize the people in the village. Entire villages were terrified! Shamans were visited by Maak finally managed to beat the ghost Mae Nak. Shamans were cut forehead bone Mae Nak and save her spirit in a bottle. Since that time, built a special shrine to the memory of Mae Nak. The temple is located in the temple complex, Wat Maha But. Even today, the accompanying legends and traditions still exist. France is not only charming by the City of Paris with the Eiffel Tower only. 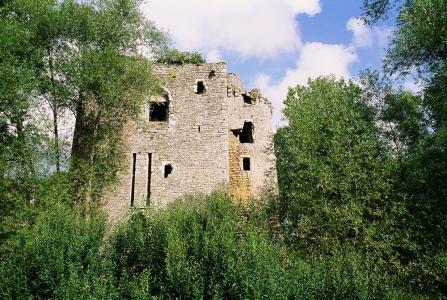 Chateau de Machecoul in Pays de La Loire is a house where serial killer once lived. He is Gilles de Rais (1404-1440), a warrior who once most feared murderer then. Within a period of one year (1434-1435), de Rais killed a lot of children. The killing was done at his own house, after the victim raped first. Above the barbaric behavior, de Rais was executed by hanging in his home. There is a magnificent castle fortress located in the city of Ollfaly, Ireland. 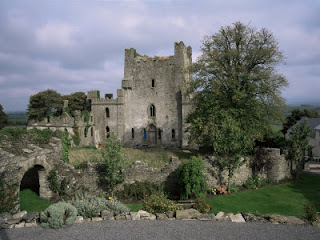 The name is Leap Castle Oubliette, which was built around the year 1250. In 1659, Darby family lived in the fort. Darby family, well known arrogant and wicked. They often execute hostages and urban residents in this fort. No wonder there is in this castle basement, which serves as a holding cell. There found the bones that had rotted! It made many people curious, and wanted to see a crime in the former fortress. Some travelers claim to see little creatures figure, stooped, green, accompanied by the smell of corpses and sulfur. There's more sinister places in France. 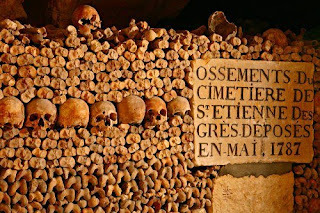 Who would have thought in the basement of the City of Paris, there is a mass grave with millions skull. 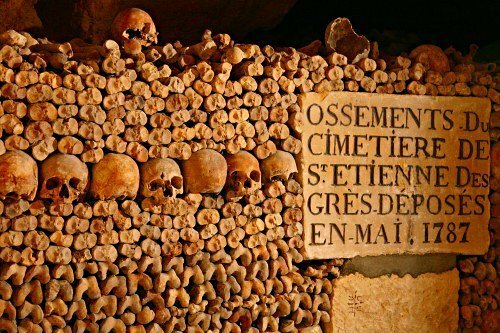 It is Catacombs of Paris, where the bones of 6 million bodies were found. From the website Appollo Jets, cited by TravelOc, this place called L'Empire de la Mort, or "Kingdom of Death". Once upon a time, around the 18th century there was no land for the cemetery in the city of Paris. One of the burial ground was crumbling down, just hit a tunnel. Starting at this point that all the bones in the cemetery was moved to the basement. Now, the Catacombs of Paris a tourist destination for horror traveler who wants to test his nerve. Not infrequently the tourists who were touring heard screams and strange noises. Just imagine, only armed with a flashlight in hand, you will cut through the darkness and find thousands of skulls in the tunnel. Article : 4 Scariest Destinations in the World! 0 Respones to "4 Scariest Destinations in the World!"